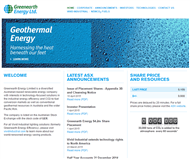 Greenearth Energy Limited is a diversified Australian-based renewable energy company with interests in technology-focused solutions in the industrial energy efficiency and CO2-to-fuel conversion markets as well as conventional geothermal resources in Australia and the wider Pacific Rim. 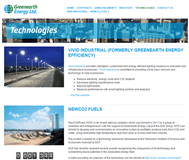 NewCO2Fuels (NCF) is an Israeli start-up company which was formed in 2011 by a group of scientists and entrepreneurs with the support of Greenearth Energy Ltd and the Erdi Group. NCF was formed to develop and commercialise an innovative system to profitably produce fuels from CO2 and water, using renewable high temperature heat from solar or excess heat from industry. The system is based on a technology previously developed at the Weizmann Institute of Science and exclusively licensed to NCF. NCF has recently received several awards recognising the uniqueness of its technology and outstanding future potential in the renewable energy field. 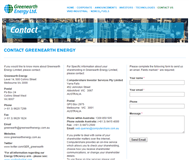 On the 14th March 2014, Greenearth Energy Ltd (Greenearth) announced that it had successfully secured formal suspensions of work permit requirements for their three Australian Geothermal leases, from the Victorian Government for a period currently ending May 2015. At which point, Greenearth can re-apply for additional extensions as required. 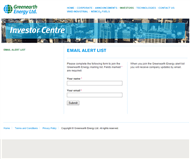 Greenearth's decision to apply for suspension and extension of its permit conditions was influenced by the lack of geothermal funding by State and Federal Governments (following withdrawal of funding for Greenearth's flagship geothermal project by the Victorian Government in 2013), and by current government policy relating to a moratorium on "fraccing" (hydraulic stimulation) and well activity.